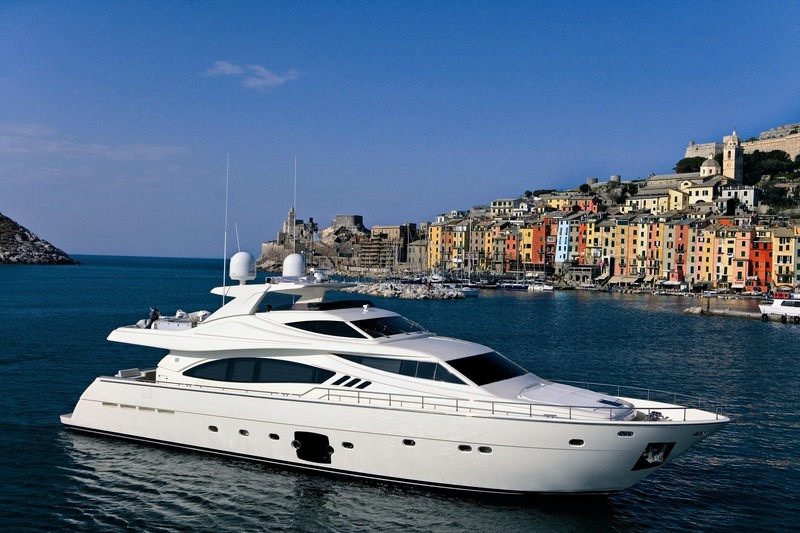 Motor yacht MAXI BEER was launched in 2012 by the renowned Ferretti shipyard, she measures 27,07m (88,10ft) and can accommodate up to 8 charter guests, in 4 cabins. 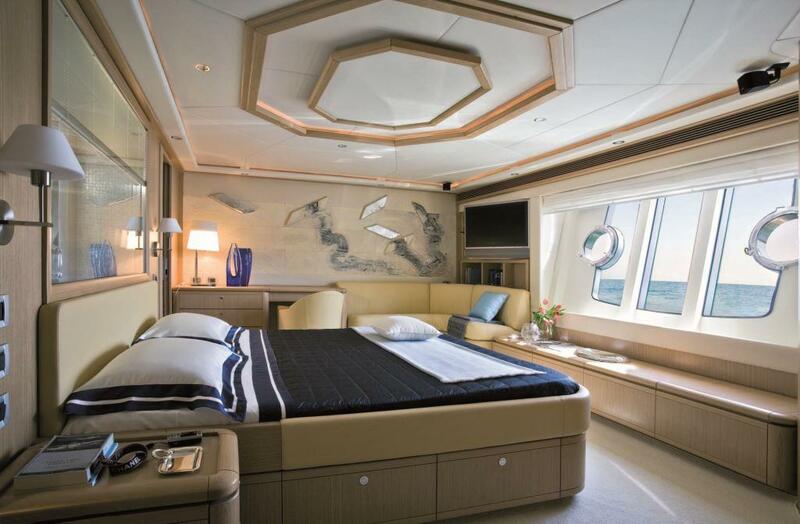 The yachts interior décor is timeless and neutral, with a well-appointed contemporary layout. 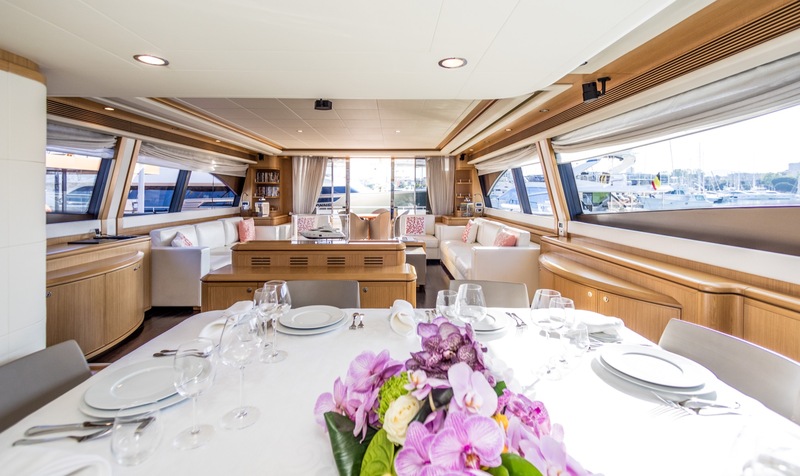 The open plan salon lounge and formal dining on the main deck is surrounded by panoramic windows, offering exceptional natural light and endless views. Apposing sofas, chairs and coffee tables make the lounge ideal for socializing, boasting a large TV forward. The TV is housed in a low island credenza, providing subtle separation between lounge and dining. Her formal dining table seats guests in elegance. 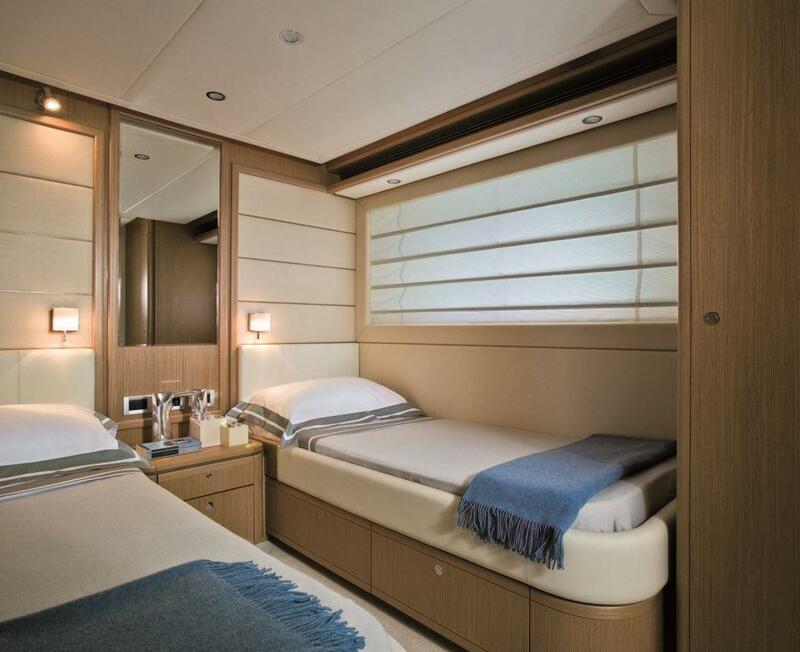 Below decks are 4 guest cabins, comprising a master, VIP, double and twin cabin, each of which is ensuite. 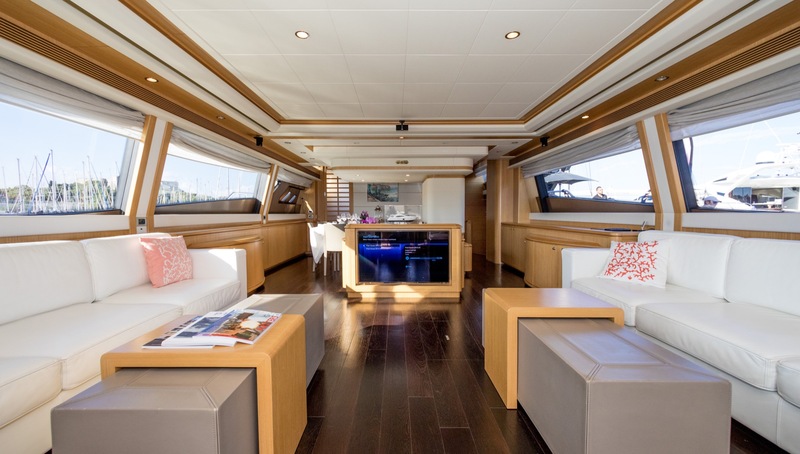 Exterior space aboard the Ferretti yacht MY MAXI BEER is laid over 2 levels and features 4 great areas to entertain, relax or enjoy the amenities. 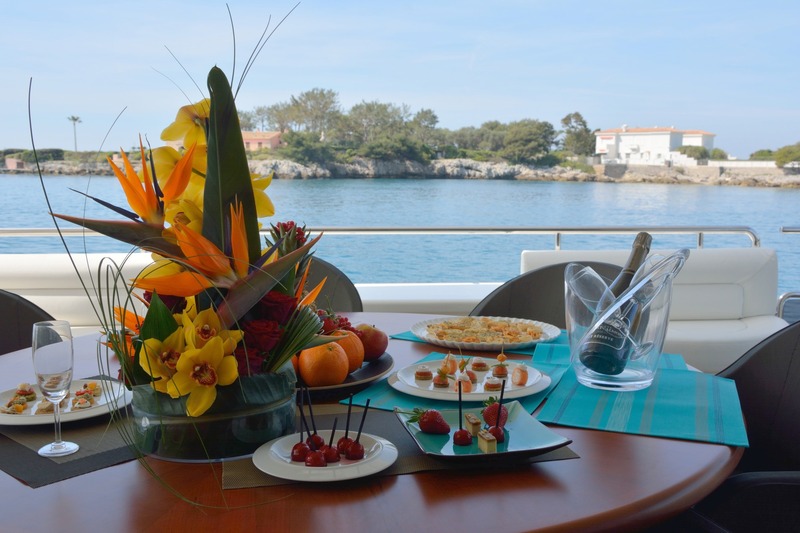 The salon leads directly to the shaded aft deck and an alfresco dining table, with ample seating. 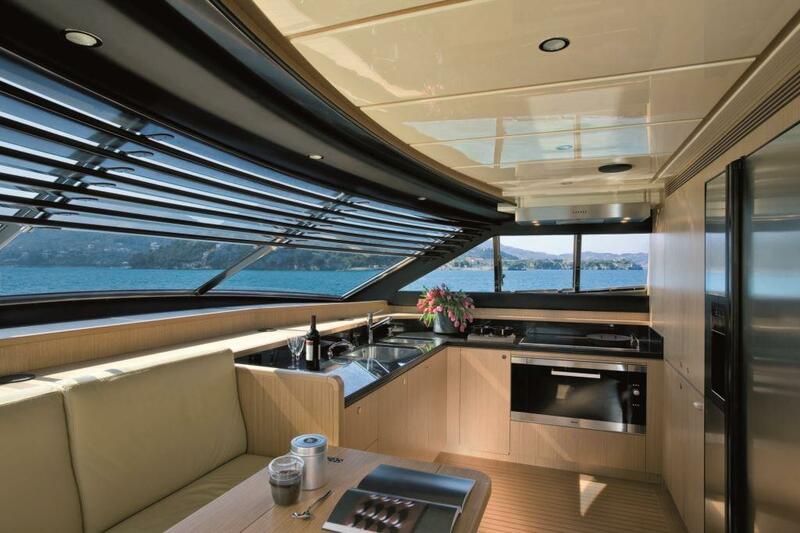 Further aft is an extended full beam swim platform, for effortless water access. 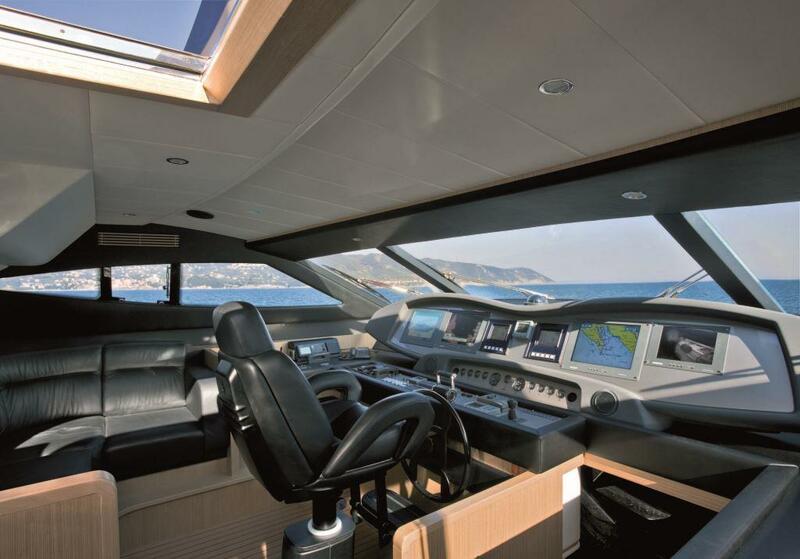 From the aft deck, the port and starboard side decks lead forward to a raised, built in sunpad on the foredeck. 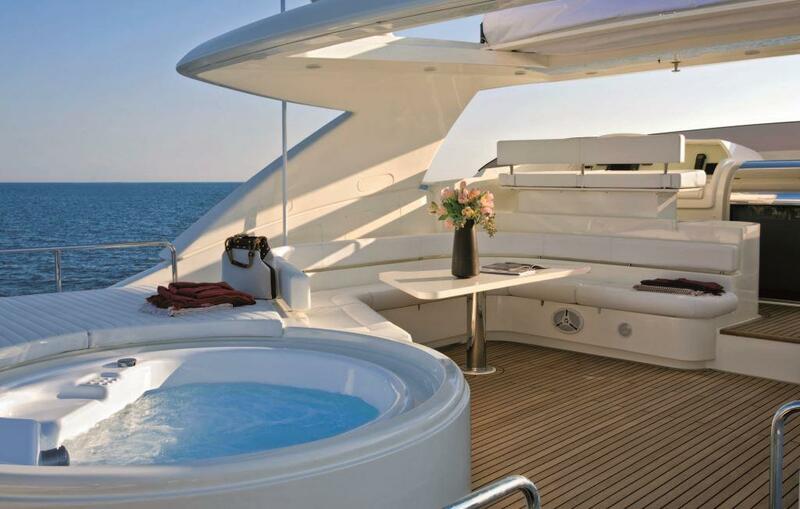 Her upper sundeck is accessed from the aft deck or bridge deck, this area boasts an additional more casual alfresco dining table, sunpads, deluxe jacuzzi and partial shade. 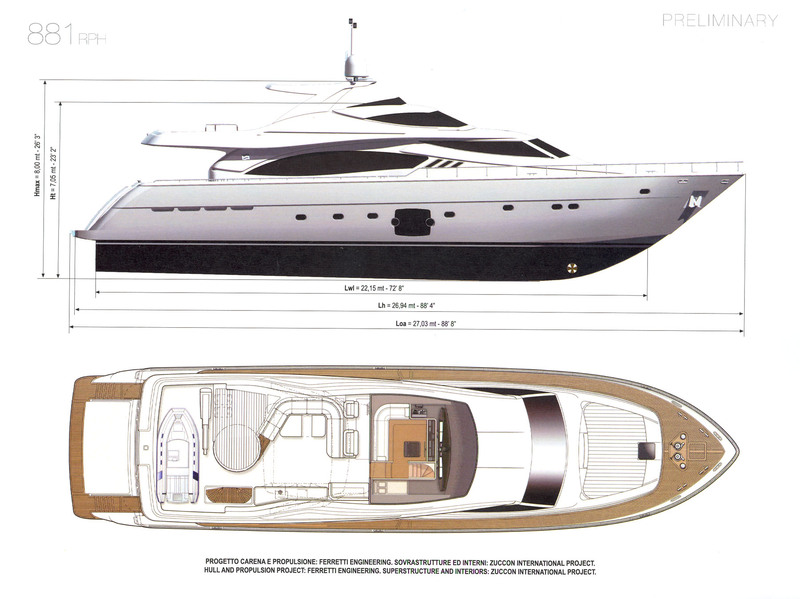 Powered by twin 2211hp engines, the yachts cruising speeds are 23 knots, with top speeds of 27 knots. 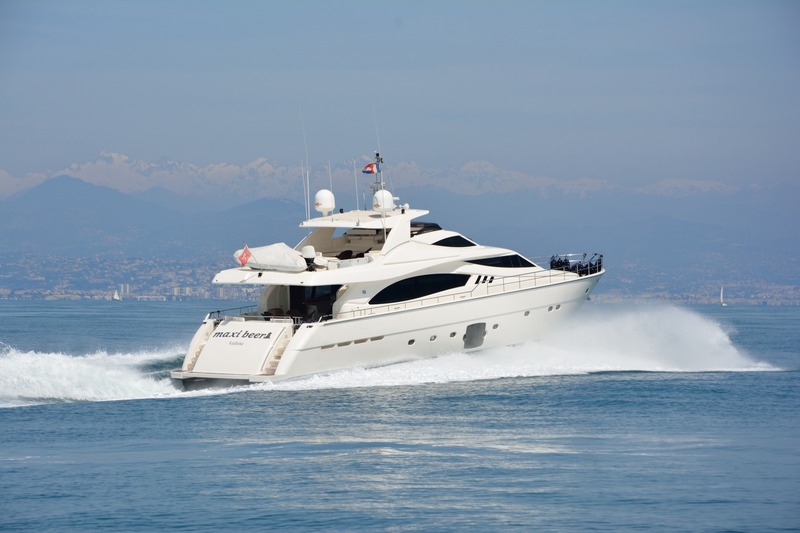 Her semi-displacement hull is fitted with at anchor stabilizers, ensuring optimum comfort for charter guests aboard Motor Yacht MY MAXI BEER. 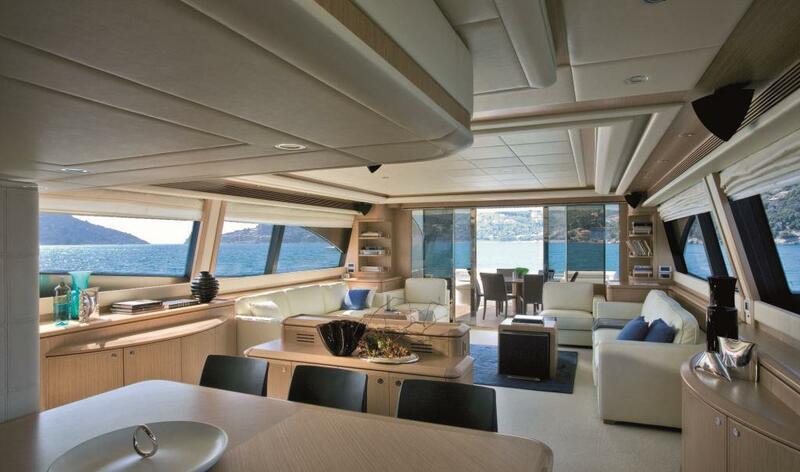 Accommodation is on the lower deck, in 4 cabins. 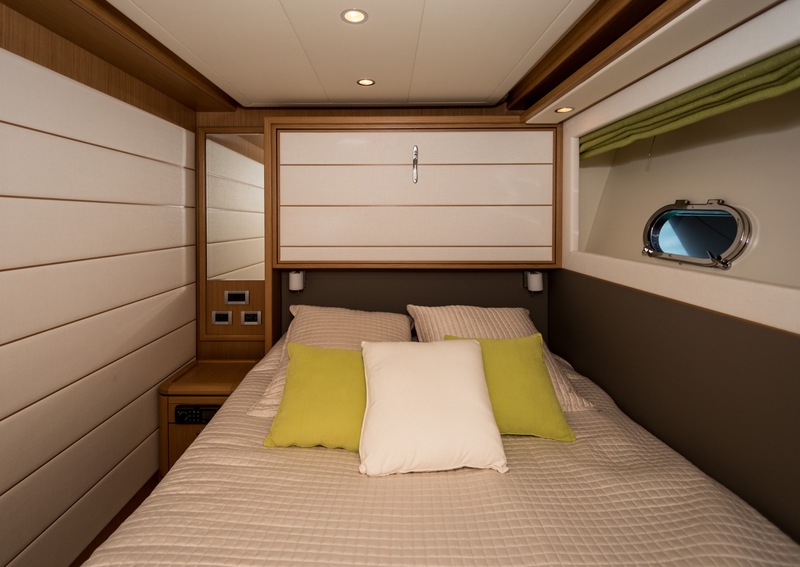 The master stateroom is amidships and full beam of the yacht, with a king size bed that faces a picturesque large in hull window, supplying spectacular views. 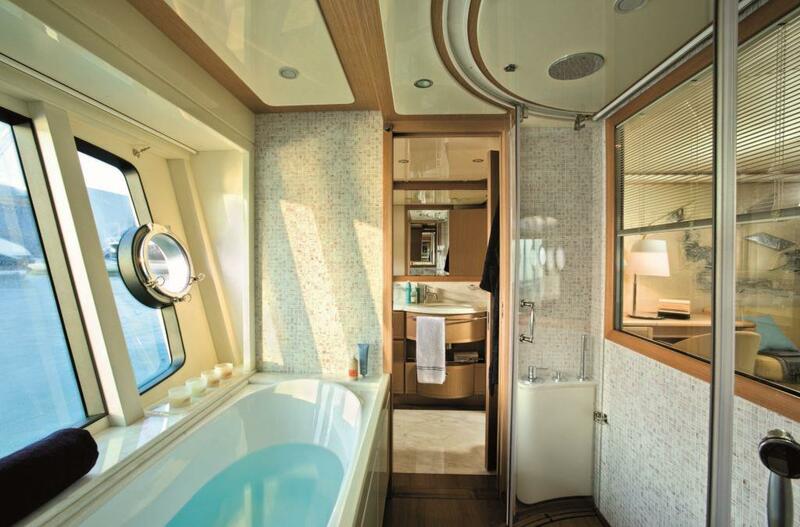 The master cabin has a sofa, vanity and generous ensuite with a further large window, bath and shower. 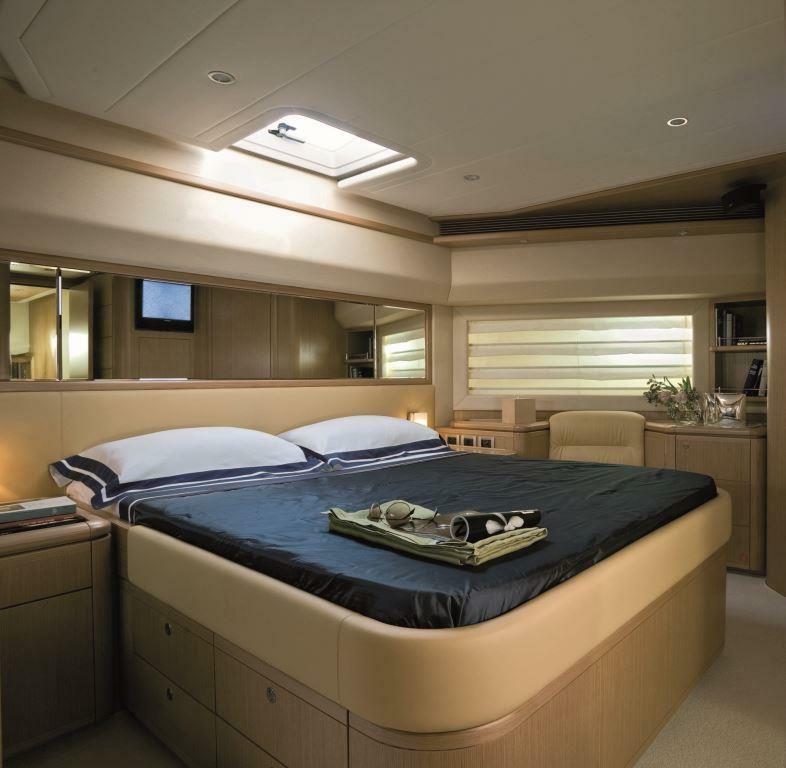 A VIP cabin is forward and full beam of the yacht, with a double bed. Another guest cabin has a double bed, while the fourth cabin has side by side twin beds. 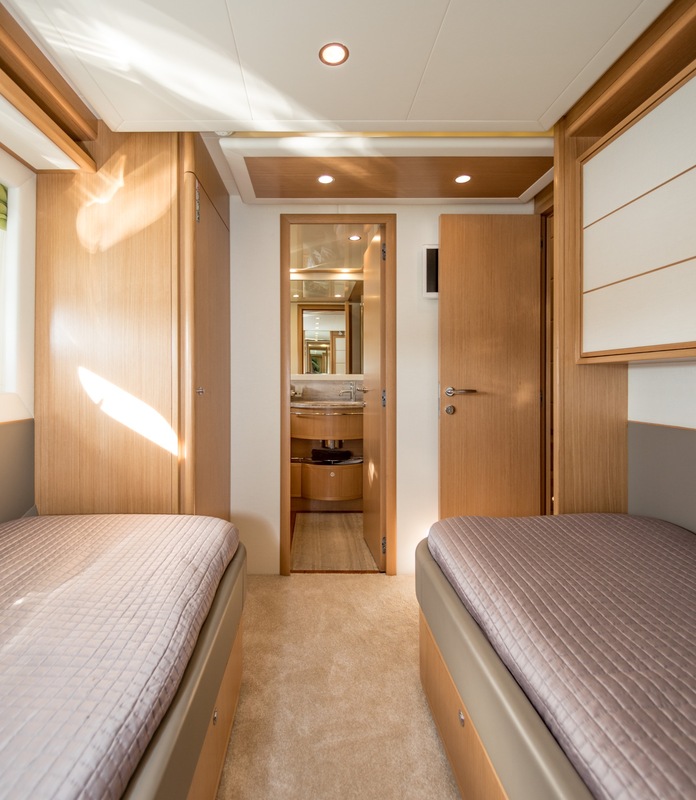 All cabins are en-suite and offer TV entertainment.